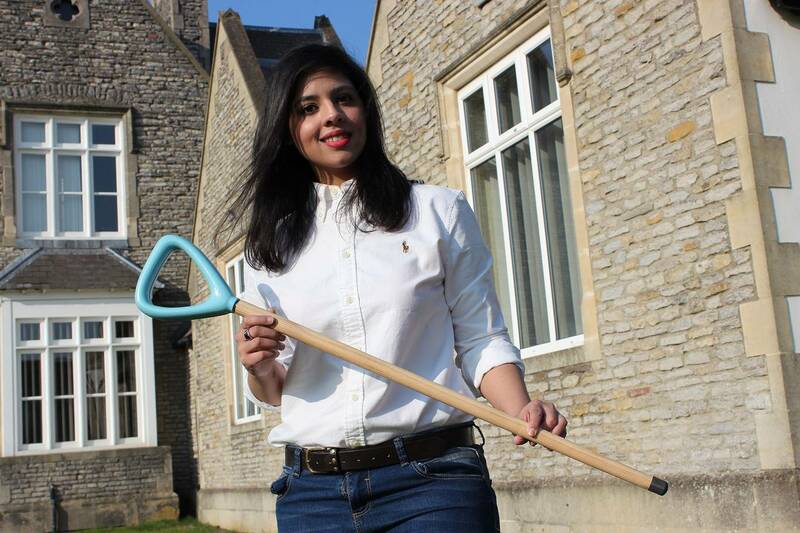 A Pakistani student entrepreneur has developed an innovative walking stick to improving the lives of people suffering from Parkinson’s disease. 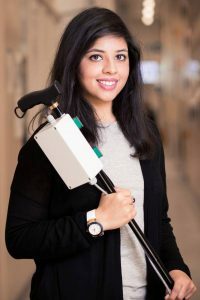 Neha Shahid Chaudhry, a 25-year-old graduate of the University of the West of England, was inspired to invent a mobility aid after observing her late grandfather struggling with Parkinson’s Disease for 8 years. “I believe in solving real-life problems in simple yet smart ways using creativity,” said Neha who has founded her own start-up company, ‘Walk to Beat’, to support the development of the product. “Walk to Beat is two years of my dedication to making a difference for disabled people and I am committed to making it real till it reaches the user” she exclaimed. Neha produced a final prototype device at the Robotics Innovation Facility located Bristol Robotics Laboratory where the product is being developed. The student entrepreneur has secured nearly £100,000 (Dh492,803) of investment to develop the innovative walking stick for people with Parkinson’s which helps prevent a common symptom known as ‘freezing’ of gait — the feeling of feet being glued to the ground and inability to walk. “People with Parkinson’s get jammed in one place and can’t step forward — it can cause falls. They need any kind of rhythm or sequence to get them started again because it acts as a reminder” Neha describes. The beat inside the handle senses when the person stops and turns off automatically when you start walking again. Mostly the patients do not want to draw unwanted attention, which is why the stick is designed to look like a normal walking stick. “My idea was to make it aesthetically pleasing” as well technologically advanced. It looks like an ordinary stick with a device installed in the handle which sends a rhythmic pulse to the handle when it detects a pause in motion. It acts as a reminder, encouraging patients to walk and keep pace with it. 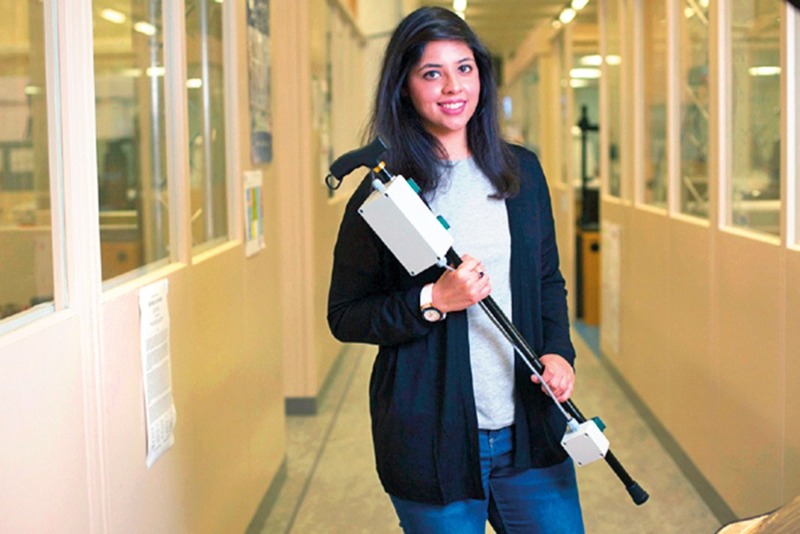 Neha with an early prototype of her ‘smart’ walking stick for Parkinson’s disease sufferers. Born in Pakistan, Neha has been in the UK since 2010 and began working on the device while studying for her degree in product design technology. The project was her undergraduate final year research work. “I spent three to four months doing research, talking to patients and attending Parkinson’s UK drop-in sessions. More than the disease itself, a big problem is its impact on social lives” she explained. The technology has already been successfully tested among dozens of Parkinson’s patient. Neha says she gets emails every day from patients and their families, asking when the product will be ready. Inspired by her late grandfather, who experienced freezing and falls because of Parkinson’s, Neha decided to help people suffering from the disease. Experts believe the mobility aid could revolutionize treatment for the condition, which affects nearly 10 million people worldwide.